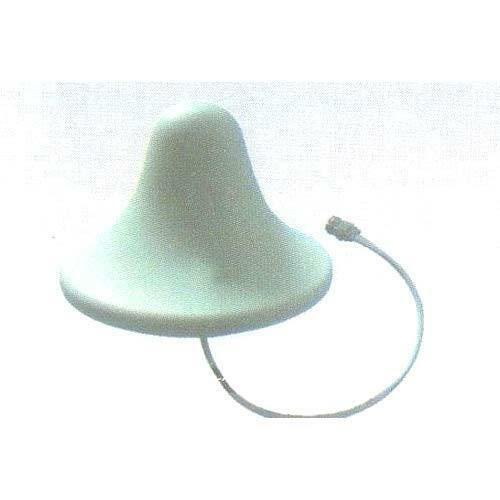 We supply and manufacture the premium quality of Indoor Antenna. Designed as per the industry laid norms, the offered indoor antenna is used for enhancing the mobile tower signals in the most efficent manner. Its quick installation, optimum functionality and compact design, make this indoor antenna highly demanded in the market. In 1996, Dee Vee Communications Pvt. Ltd was established and since then the organization is engaged in manufacturing and supplying of Telecommunication Device. We manufacture and supply a complete range of products which includes Lift Phone with Camera, Lift Phone, Ambulance Intercom. With the use of highly efficient material, these products are manufactured with an aim of delivering the best service to the users. The devices that we are manufacturing and supplying are made up by the use of latest technology and thus it stands out in the market. These devices are very much sophisticated and elegant in look and are manufactured keeping the latest trends and technology in concern. The entire range of products that we are manufacturing are highly appreciated because of the array of applications installed in it. We intend to serve our customers in a better and enhanced way, thus we bring them a product of superior quality with ranges of features. These products are flexible in use, easy to maintain, unbreakable and are handy too. The material used in their manufacturing are certified which make them durable and reliable too. These devices have a long working life as we follow strong quality measures and have set a very high quality parameters. We aren’t only following quality measures during its manufacturing process, but also during its fabrication and packaging process. Our products are highly accurate and are manufactured precisely which is why we are highly appreciated by our customer’s and clients.